Peak six. 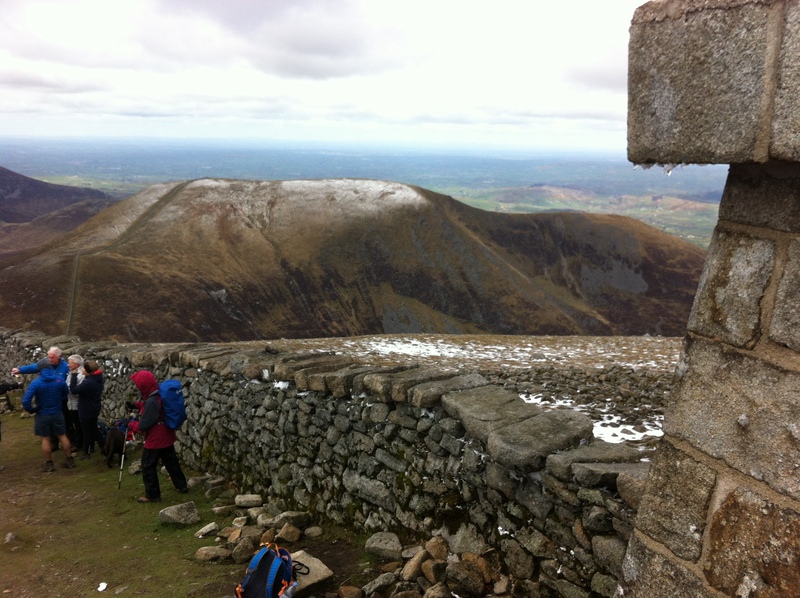 The highest point of Northern Ireland, Slieve Donard. Peaked! This is the first peak which has required any real effort to scale. My hiking companion Raph and I drove up from Dublin airport in the morning, to the seaside town of Newcastle in the north. The weather started off as wet, but fortunately this gave way to a fairer weather as the day progressed. 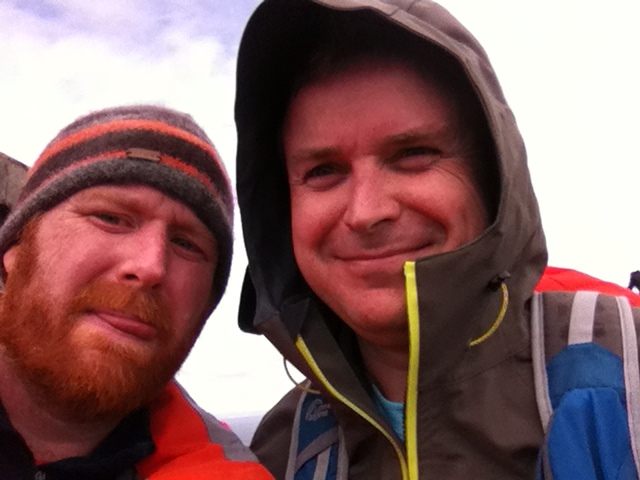 We kicked off from the Donard Park car park around 10ish, and headed up the classic Bloody Bridge route, which wasn’t dissimilar to walking upstairs for two hours. 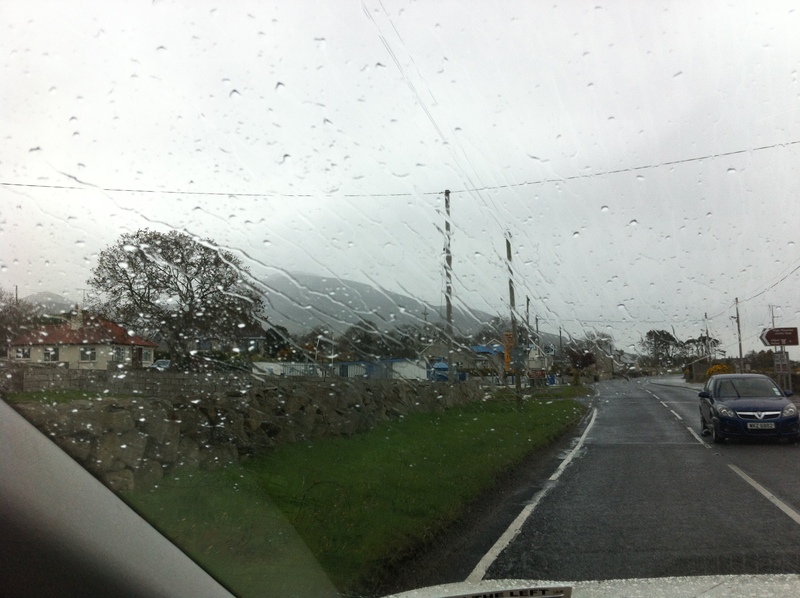 After we cleared the woods, with the ice house on our left, and Slieve Donard in sight, the rain had eased and the winds had picked up. The right hand side of the mountaint in the picture is the basic route we took to the summit. 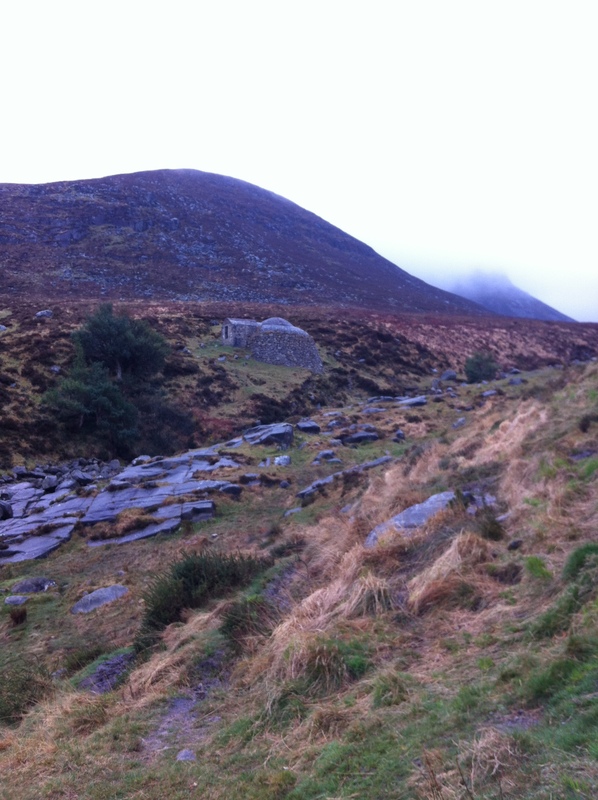 Once past the stream at the top, we zig-zagged up through the rocks to the stone wall which led to the summit. This last section was seemingly endless, but straightforward given we followed the wall, which also kept the wind off us. Which was nice. At the top there is a basic shelter, which we didn’t need, and a smattering of snow, which we also left untouched. The descent took us another 2.5 hours, so all in it was around the 5.5 hour mark, and a good warm-up for Carrountoohil the next day. The cafe by the car park provided a top lunch, before we hit the road south and west.